• Emotional problems e.g. anxiety, depression, hurt, guilt, shame, anger, jealousy and envy. • Anxiety disorders e.g. obsessive compulsive disorder, panic disorder, phobias. • Symptoms e.g. irritable bowel syndrome, blushing. The first session is a clinical assessment where a full case history is taken, problems and goals defined, client queries answered, CBT explained in detail, estimate of how many sessions provided, roles and responsibilities agreed and fees and cancellation policy clarified and the next follow up session agreed. Fees for CBT Therapy and CBH are available on request. 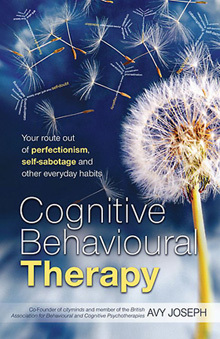 The College of Cognitive Behavioural Therapies (CCBT) was established to train adult learners, therapists, hypnotherapists and health-care professionals in the theory, practice, ethics and therapeutic applications of Cognitive Behavioural Therapies as well as their integration with Mindfulness and Hypnosis.